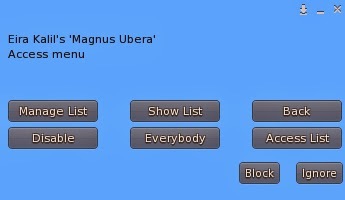 I am making a list of the new improvements for my mesh breasts (Magnus Ubera, Ubera Magna and BChubby), many people complain about the lack of an access list so that feature will be present in the next update, also I will improve the bounce option. Now It's time to listen you all, so if you have a suggestion, post a comment here :-). I recommend making your next update as fitted mesh.